After our fabulous dining experience at Brooklyn’s Di Fara Pizza, Dodger Fan and I left the car in Brooklyn and hopped on the M Train to Manhattan. Since it was such a beautiful, sunny winter’s day to enjoy a walk in the City, our destination was The High Line. There and back, we couldn’t help but notice the preponderance of dollar pizza joints. 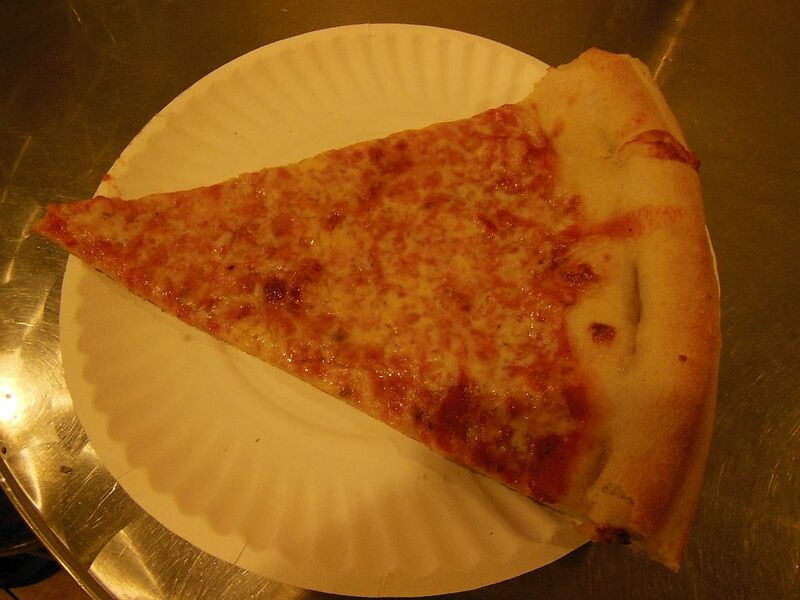 The Snob had previously mentioned this new phenomenon in his piece on The Price of a Slice, but he had yet to visit one. We figured we’d give it a try, so we stopped at a St. Marks 2 Bros. Pizza that we previously passed. 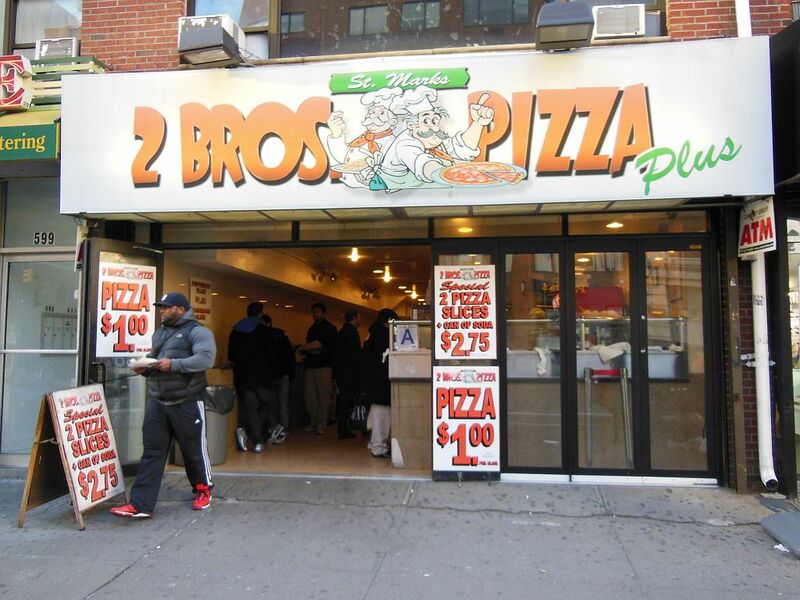 St. Marks 2 Bros. Pizza started in the East Village on St. Marks Place and now has eight Manhattan locations along with the one we visited in Chelsea on Sixth Avenue between 17th and 18th Streets. On this Saturday afternoon, the place was surely jumping! Whether they were repeat customers or first time visitors like us, I wasn’t sure. But, the big signs outside leering you in were hard to miss: $1.00 a slice (50 cents per extra topping), or $2.75 for two slices and a drink—certainly a bargain in today’s economy. Experiment complete. I don’t plan to seek out any more dollar slices. 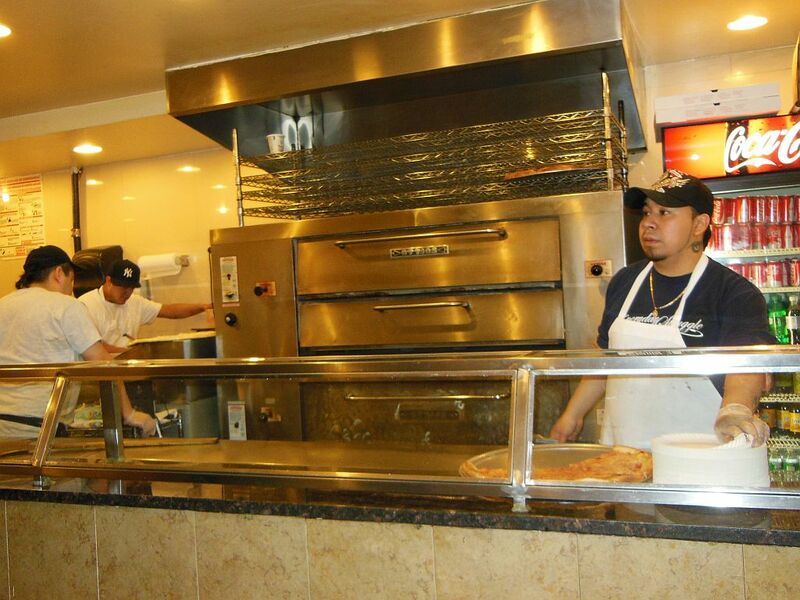 While 2 Bros. may be a cheap way to grab a quick slice, it is certainly not one for the pizza connoisseur.